Home Blogs How to Manage Productivity, Minimize Litigation & Prevent Security Risks of Business? Business organizations these days are increasingly using technological high –tech tools in order to perform email monitoring, blocking websites and cell phone tracking and GPS tracking. 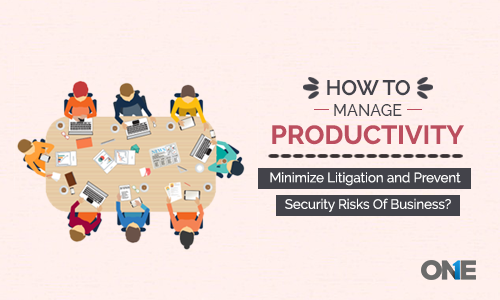 it is all about to manage the productivity, to minimize litigation and to prevent online and office-based security risks. 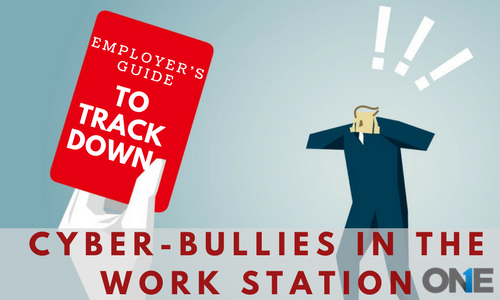 Over the years plenty of incidents have happened where employers have to face serious issues in terms of misusing the internet, emails, social media websites and Apps on Company’s owned devices by the employees likewise, cellphones, gadgets, and computer machines. So, business owners have taken steps to fire employees for misusing the company assets for the personal or monetary reasons, according to the “Electronic monitoring & surveillance Survey” from American Management Association (AMA) and The ePolicy Institute. 65% of the employers have used cell phone and computer monitoring app for windows and MAC to block inappropriate websites –the monitoring and surveillance of employees have been raised at business organizations with accordance of the survey. According to the survey companies have managed, minimize litigation & prevent security risks by email monitoring 43%, 73% have used windows and MAC monitoring apps to track emails of Gmail automatically and 40% have assigned some individual to manually read the emails. How Concerns over litigation & role of electronic evidence play positive roles? The concerns of employers over litigation and electronic pieces of evidence with the use of workplace monitoring and surveillance to monitor employee’s online activities to further identify & stop rogue employees before they become security for business organizations. Moreover, the role of electronic evidence plays in lawsuits and regulatory investigations allow more business owners to protect business intellectual property and even goldbricking habits of employees. However, Data security and the productivity of employees concerns have made employers to even track web and email use content, Nancy Flynn, executive director of the ePolicy Institute stated that. Employees sent/received emails via electronic company’s owned digital devices can store the information create written business records that are equal to DNA pieces of evidence, Flynn added. Almost, 24% of employers have shown evidence to the courts and regulators and 15% have battled with lawsuits sued by the employees to employers through email, according to the AMA/ePolicy research. To prevent the litigations, security breaches and as well as another kind of electronic disasters, so that employers should make the use of phone and PC surveillance software to battle the issues. It will also help out the bosses to deal with the accidental and intentional misuse of computer laptop and desktop devices and other digital devices owned by the company, Flynn further added that. So, at the end of the day will be able to manage litigation issues and as well as get to know are employees are getting the money you are paying them. There are two states in U.S Delaware and Connecticut needs to tell their employees that their work-place activities are under surveillance. 83% of the employers inform employees that they are keeping an eye on employee’s content, keystrokes, and time spent on the keyboard. While 84% of employers let the workforce of the company that bosses are reviewing computer activities, 71% give alerts to the employees to email monitoring and also educating employees about do’s and don’ts of the company. Majority of the employees prior to the joining receives policy about the office and its tools and further about the privacy concerns, but employees sometimes don’t bother to read the entire policy statement. Business firms are monitoring cellphones and Voicemails? 6% of the employers have terminated the employees for the misuse of the company’s owned mobile phones and gadgets. Almost 45% of bosses track cell phone calls incoming and outgoing and even the contacts, and other 16% record and listen to the phone calls. 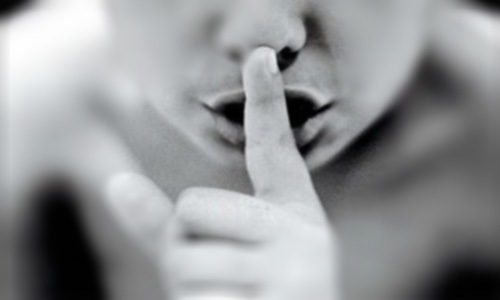 Moreover, 9% of the employers track Voice calls. The sudden expansions of the technology and hegemony in terms of cell phones, gadgets, and computer laptop and desktop devices have become important pillars of the business communities worldwide. Productivity, litigation issues, and security risks are common for business firms. Therefore, in accordance with the above-mentioned survey and its stats clearly alarming the employers to make use of cell phone and PC monitoring software. It will really help you out to monitor emails, social media apps, internet activities, and to prevent online security threats to the fullest. 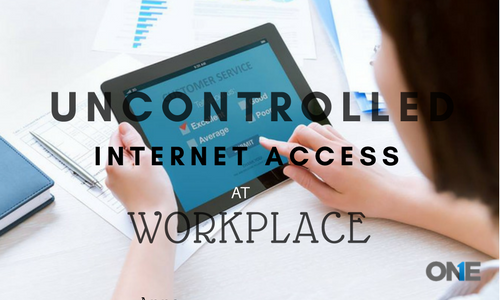 Uncontrolled Internet Access at Workplace – What are the Menaces?